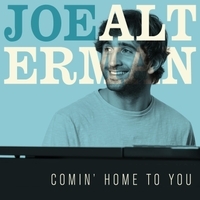 Pianist Joe Alterman brings a youthful, joyous, soulful and infectiously enthusiastic contribution to jazz in this, his new release entitled "Comin’ Home to You." Joe Alterman brings a youthful, splendid and infectiously enthusiastic contribution to jazz in this, his new release Comin’ Home to You. Inspired by the joyous, soulful sounds of pianists Les McCann, Ramsey Lewis and Monty Alexander and lauded by all three as "a wonderful pianist whose playing brings smiles and good feelings to his listeners," (Monty Alexander), "already a giant" (Les McCann), and a pianist whose "will to explore and his ability to swing is something to behold" (Ramsey Lewis), Comin’ Home to You is bound to bring a smile to your face as your feet tap away. A deeply sensitive and lyrical, yet also super funky pianist, Alterman's music, filled with both depth and fun, should not be missed.